I am passionate about inner and outer beauty, holistic healing, plant-based lifestyle, crafting, drawing, painting, and animals. My daughter is my inspiration. I trained in Microblading with Deluxe Brows in San Diego, California and received Microblading Certification through their program in 2016. I am a Board Certified Tattooist through the State of Wisconsin. I love what I do. The art aspect involved in creating beautiful eyebrows tailored to each client makes a day of work so satisfying. Seeing the reactions and learning how enhancing someone’s eyebrows can really change their lives is the ultimate reward. 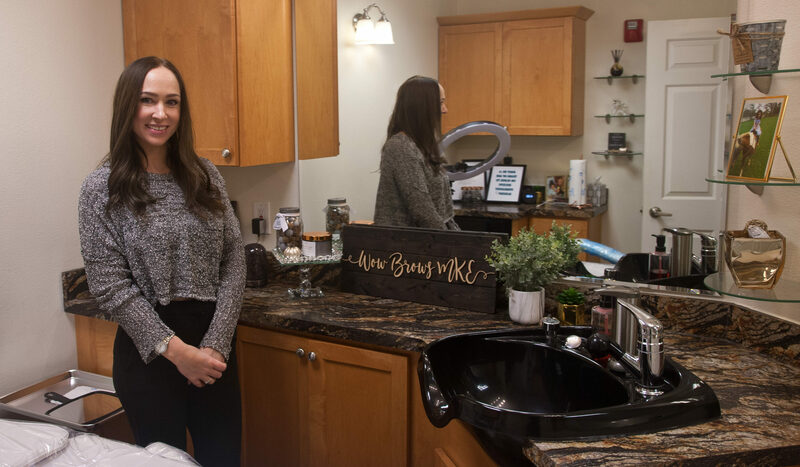 Wow Brows MKE is bringing the new technique of microblading to Milwaukee. Microblading is a semi-permanent tattoo procedure that involves creating hairlike strokes of pigment throughout the brow, to create a very natural and full eyebrow. This service is life-changing for people wanting to correct thin, uneven, unshapely, or sparse eyebrows. Learn more about Milwaukee microblading here.